Following in the footsteps of their short film “Too Fast”, Wong Fu Productions released their latest web series “Company Car”. Follow Manny, Wong Fu’s newest intern, on his misadventures driving around WFP’s first company car! (You might recognize Manny from The Letters.) In the first episode “The Interview”, see what it takes to be an intern for Wong Fu Productions. Cameras are everywhere. Also check out The One and Only with Lee Min Ho for a Korean soap opera version of a car webseries. This entry was posted in cars, comedy, shorts on March 31, 2012 by Kevin Hsieh - channel APA. 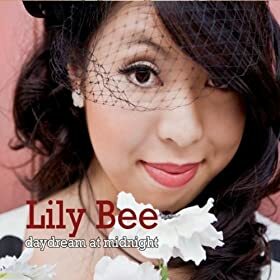 Singer Lily Bee release her music video for the single “Up” from her Daydream at Midnight album. This song was inspired by Disney Pixar’s animated feature Up. She’s am a huge fan of this movie for a plethora of reasons. In the video, follow her and her band traveling in the road on their Volkswagen Transporter. It’s gonna be an adventure on this hippie bus. They make beautiful music inside and outside of the van. They have fun with the video about life on the road. You can download the song on or amazon. Listen to more Lily Bee: Senior Letter and They Don’t Make ‘Em Like You. This entry was posted in music on March 31, 2012 by Kevin Hsieh - channel APA. The People’s Champion, The Rock, is getting the WWE Universe pumped for WrestleMania 28 this Sunday, April 1, 2012, (7 ET/4 PT). 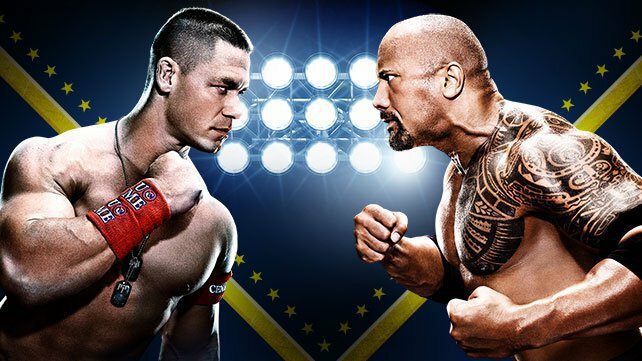 The match is once in a lifetime, and now the WWE Universe gets ready for the historic build-up to The Rock and John Cena’s epic clash at WrestleMania XXVIII. Following a seven-year absence, The Rock returned to WWE in characteristically grand fashion in early 2010 to host WrestleMania XXVII. Although The People’s Champion was overjoyed to be reunited with his millions – and millions – of fans at long last, he was quick to take aim at Cena, sparking a very public war of words with his fellow multi-time World Champion. The verbal jousts escalated to physical confrontation in the weeks that followed, and it became abundantly clear that the pair would cross paths. From history lessons to lyrical stand-offs, these two icons have continued to challenge one another both personally and professionally, all the while keeping the entire WWE Universe on the edge of its collective seat. Without a doubt, when John Cena and The Rock meet face-to-face at WrestleMania, it will truly be a once-in-a-lifetime experience. This entry was posted in sports on March 30, 2012 by Kevin Hsieh - channel APA. The third episode of Prison Dancer is out. Viral Star Meme Hunter Matt Wells uncovers the inmates’ tales of violence and life inside the prison. See what happens when Christian and Hookaps meets one on one for a cage fight in jail. You need to learn to be tough on the inside. Listen to ON THE INSIDE on prison survival sung by Hookaps. Look for extras on Christian, Shakespeare, Hookaps, oo oo, and Na na at the end of the episode as they talk about their arrival in the penitentiary. For sneak peeks of upcoming Prison Dancer episodes, see Step and Pak Yow. Or somebody in here is gonna make you their wife. Oooooohhh one day we’ll be free one day..
Ooooohhhh…one day we’ll be free one day..
Oohhhh…I’ll be with my baby again..
Ooooohhhh…I’ll be with my baby again.. This entry was posted in music, shorts on March 30, 2012 by Kevin Hsieh - channel APA. Rapper Rjay teams up with singer June Marieezy for the single “Catch You”. The storyline for the music video is touching. A guy stands by his girl after she’s gotten into an accident. Previously, she was a dancer, but is now confined to a wheelchair, where she expresses herself through painting. Love keeps them together through the disabilities and scars. The video reminds us of short film Represent. You can download the song FREE here. This entry was posted in music on March 30, 2012 by Kevin Hsieh - channel APA. KevJumba is jumping straight into the indie film game with his latest project “Waking Summer“. He’s already completed Rock Jocks and Hang Loose. Now his stepping up his game with a trailer for a cool sci-fi project that’s in the works. 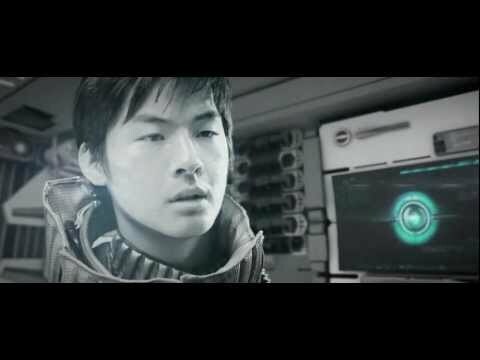 Directed by actor Sung Kang, the trailer take you into a spacecraft where KevJumba relies on the computer system Blue on his return to Earth. Apparently, the Earth is contaminated and KevJumba takes steps to explore it. What will he find on Earth? This entry was posted in shorts on March 30, 2012 by Kevin Hsieh - channel APA.